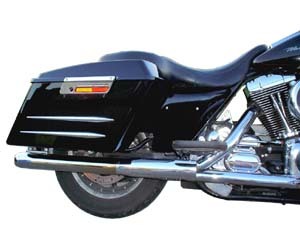 Protection for your saddlebags, lids & side covers! 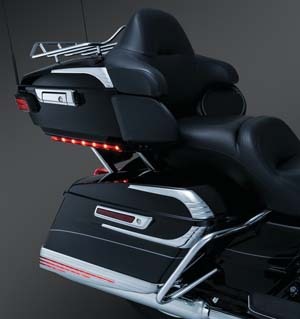 SLK-49: Saddlebag lamp kit includes a set of red LED lamps with red lens and the Touring electrical connection update kit. Add distinctive style and individuality to your saddlebags & Tour-Pak! 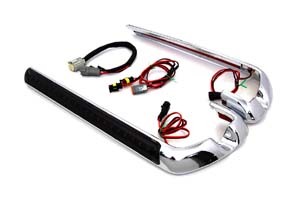 Featuring a sleek and streamlined design in brilliant chrome with easy peel-and-stick installation. Designed to complement. 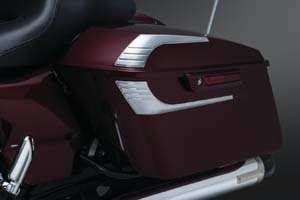 6905: Saddlebag Lid Accents. 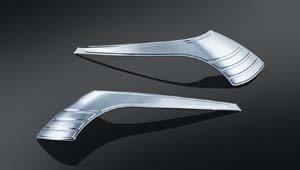 Fits: '14-'15 Electra Glides, Road Glides, Road Kings & Street Glides. 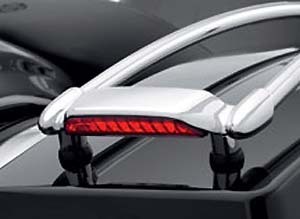 6908: Saddlebag Accents. 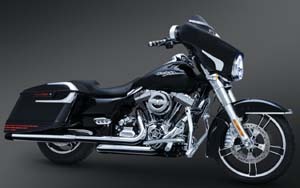 Fits: '14-'15 Electra Glides, Road Glides, Road Kings & Street Glides. 6909: Accents for Tour-Pak. 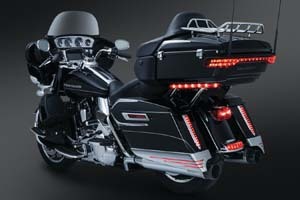 Fits: '14-'15 Electra Glides, '15 Road Glide Ultra CVO & Tri Glides. 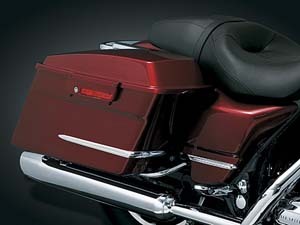 Saddlebag Bumpers: Protect your Standard, Classic, Road King or Road Glide's saddlebags from damage without resorting to the stock guard rails. Easy to mount (drilling template is provided) and can be installed under one hour. 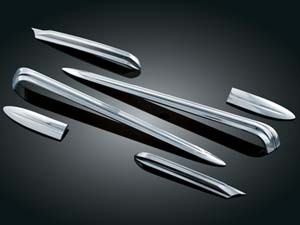 Machined from billet aluminum, they are offered in show chrome or in a ready-to-paint raw aluminum finish. Sold in pairs. You have the option to mount as many (or few) on each bag as you prefer. SB-2 (two pairs) shown in on-bike photo to the right. 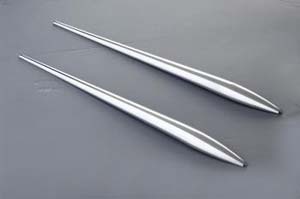 They are 16" long and 1" wide at the widest point.